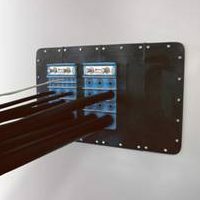 Roxtec / Building industry - Glob-Prot Kft. 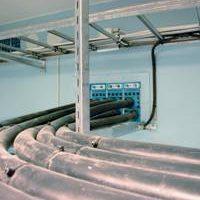 The owner, the designer and the installer all share the advantage of the flexible, expandable and modular cable and pipe transit system, we provide. 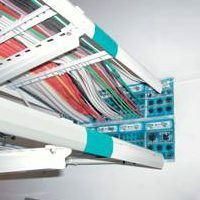 The openable Roxtec transits make possible that the transit is closed during the structure building period and at the time the cables and pipes placing works easy to open the transits. 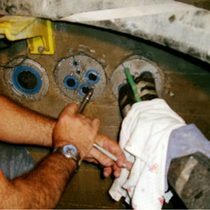 The later changing and modification can be managed by Roxtec without any wrecking/rebuilding process. In Hungary for the traditional tasks of the cable and pipe transits the best choice is Roxtec. 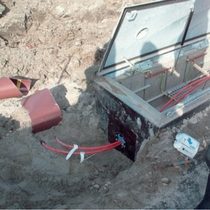 The most popular tasks are watertight, gastight, fireproof cable and pipe transit, but more and more frequently required the rodent and bug proof sealing and the noise and vibration attenuation in the transits. In the building segment, there are commercial buildings (living and office buildings, warehouses, agricultural buildings, and factories) the infrastructural buildings ( bridge, metro subway, tram, train) and the drinking water and waste water-minder buildings. 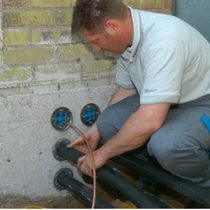 The requirement for a wall transit can be water tightness, gas tightness, fireproof and rodent proof. Roxtec can provide these performances all of them, or every one of them.